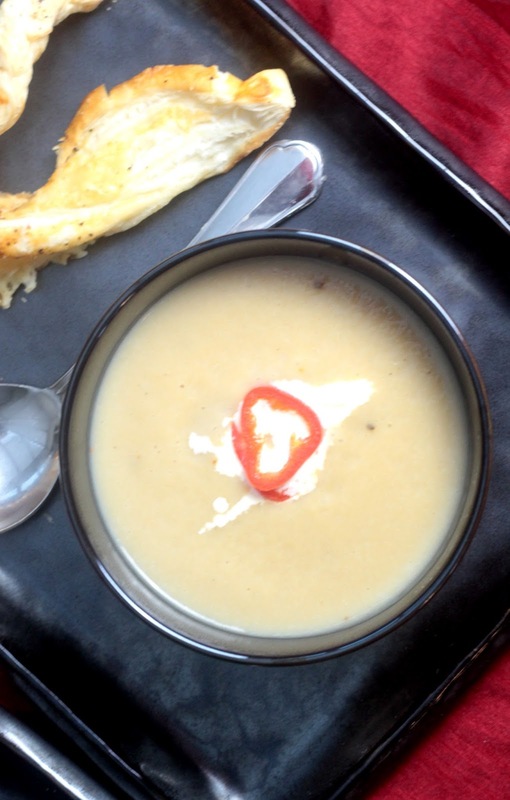 After the excesses of Christmas, this parsnip soup was a welcome light lunch. It was a great way of using up the leftover parsnips and my Mum's cheese straws. I often forget how easy it is to make soup, and this tasted so good, I really should make them more often. I used leek in this recipe as I had one in my fridge, but I would usually use a chopped onion. My sister left behind some chopped ginger and garlic and I used these instead of fresh. Spray a saucepan with oil and heat the garlic, ginger and red chili. Chop the parsnip, leek and add to the pan. Cover with water and add a vegetable oxo cube. Cook until the parsnip is soft and most of the water has evaporated. Put this into a food processor and add the milk and honey. Give it a whizz until nice and smooth. Depending on the type of food processor you have, you might want to warm this mixture through in a pan. Top with a little creme fraiche. Sounds delicious! 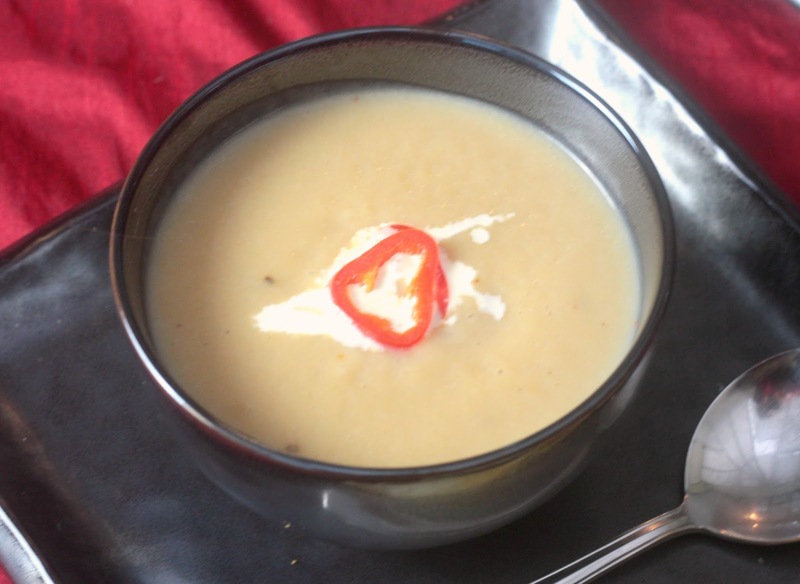 Love the addition of ginger and chilli to counteract and compliment the sweetness of parsnip and honey. Yum! I think I eat too much soup and then go off it and it is great to remind myself how good it is!